Old Cabin 3 is where the original cabin was located before it burned in the 1980s from an accidental fire. To find this geocache, park across from cabins 1 and 2 near Riverside Campground. It is a short walk away, and can be found in the remains of the original cabin. 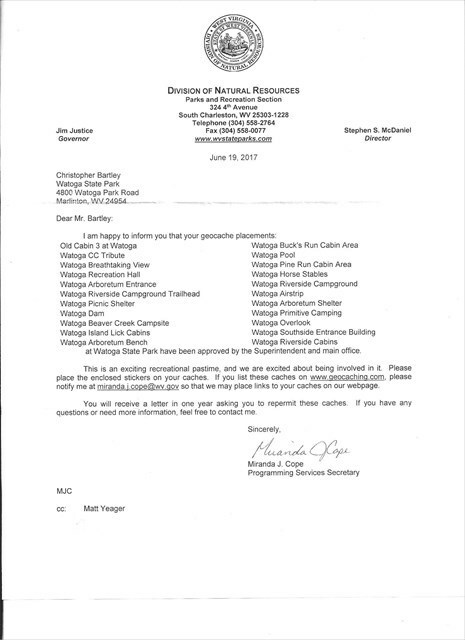 Geocache ApprovalThis letter signifies that this geocache is approved through the Department of Natural Resources and is allowed at Watoga State Park.